It was like that scene at the beginning of Back To The Future. You know the one. Where an unsuspecting Marty McFly turns Doc Brown’s experimental new amp up to 11 before striking a chord with… spectacular results. There I was, wading through a never-ending stream of generic, beige promotional e-mail, tossing aside the mountain of wheat and chaff, searching for that spectacular sound that would wake me from my digital communication slumber, smacking me up the side of the head with its incendiary energy. So BOOM! 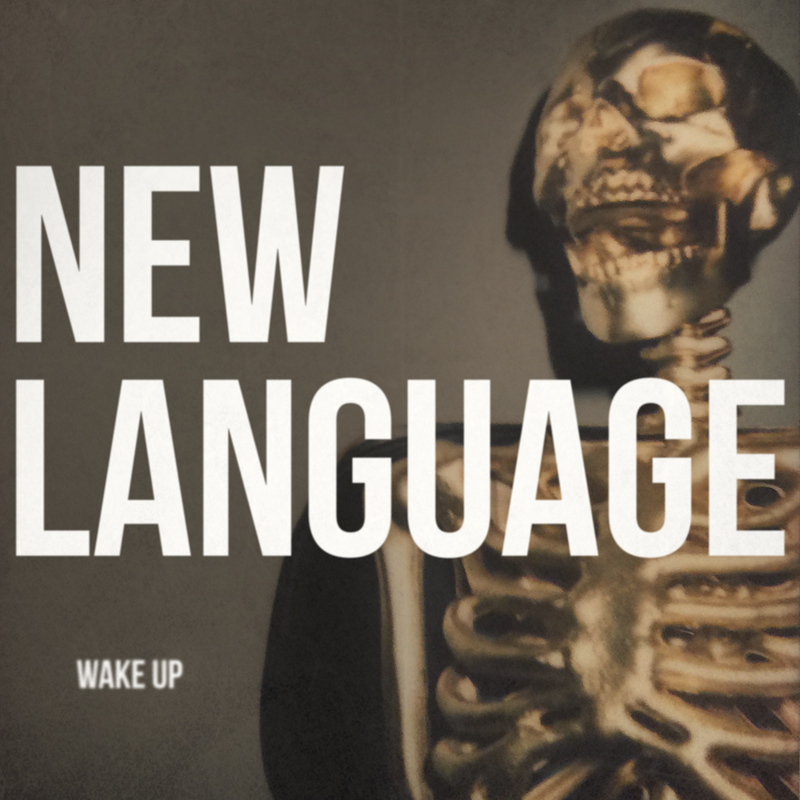 Come and meet New Language, the uncompromising new LA-based outfit featuring Tyler Demorest (guitar/vocals), Matt Cohen (bassist) and Tony Hajjar (drums/producer – At The Drive In/Sparta), and check out “Wake Up”, the explosive opening salvo from the band’s forthcoming debut album, below. 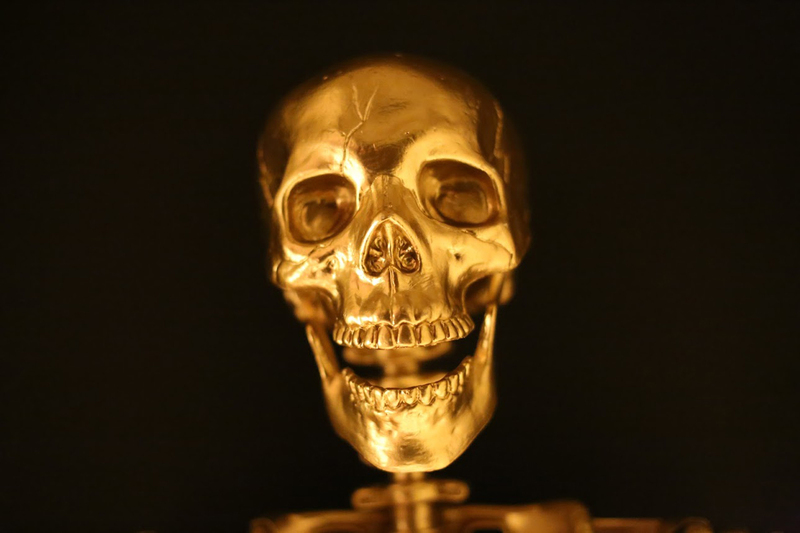 Oh, and by the way, the skeleton’s name is Richard. New Language will make their live debut at Hollywood’s The Dragonfly on the 27th of April, supporting Metal/Rock supergroup Gone Is Gone, whose ranks include members of Queens of the Stone Age, Mastodon and At The Drive In, including Hajjar. Tickets are on sale from Friday the 15th of April. Excited doesn’t quite cover it. More news and music when we have it.